The mission of The Desmoid Tumor Research Foundation is to aggressively fund research to accelerate the development of improved therapies, and ultimately find a cure for desmoid tumors. We collaborate with dedicated researchers and clinicians worldwide to improve the lives of patients through education, awareness and support. DTRF was founded in 2005 with the mission of facilitating and funding research toward a cure and supporting patients with information. Every year we have gained momentum in our progress and have seen new clinical trials, emerging therapies and important new discoveries about the disease come to fruition. Our continued thanks go out to the desmoid tumor patient and professional communities and our donors that make all of this possible! Please see the tabs below for our various areas of focus and accomplishment. With continued momentum, strategic partnerships and the continued support of the community, we look forward to continued success in the future. DTRF is the only foundation in the country solely dedicated to funding desmoid tumor research and finding a cure for this rare disease. The funding of cutting-edge collaborative research continues to be our priority. We fund research projects at the world’s top sarcoma cancer research centers in both basic science and clinical trials. DTRF-funded research seeks to determine what goes wrong in cells to generate these tumors, what medical and surgical options work best, and what existing drugs or potential new drugs could provide effective treatments. DTRF facilitates collaboration between researchers from different institutions to expedite the development of a cure. DTRF-funded research has already made significant advancements in our understanding of the disease. Discoveries made through desmoid tumor research can also potentially have a significant impact on many other kinds of cancers such as breast, colon, ovarian and other cancers. DTRF has established a very successful annual fall Patient Meeting which brings patients, physicians and researchers together for education, support and collaboration. In connection with the Patient Meeting, we hold the annual DTRF International Desmoid Tumor Research Workshop. This event brings together a diverse group of scientists from around the world including the brightest minds in desmoid tumor research, human genetics, drug development and related fields. The Workshop facilitates an enthusiastic and collegial atmosphere as researchers across disciplines and institutions collaborate around the shared goal of improving treatments for desmoid tumor patients, establishing research priorities and moving the field forward toward a cure. In addition, our website is a clearinghouse of information on desmoid tumors and published desmoid tumor research, reaching patients, physicians and researchers around the globe. Patients are not fighting this disease alone. Our website provides information and helps direct patients to other sources for information, support and resources. Our annual Patient Meeting provides a supportive environment for patient interaction and informative lectures by clinicians and researchers. Most of all, we seek to support patients by giving them hope through funding research for a cure. Our fundraising events around the country promote awareness and give patients and their families and friends a healing way to make a difference as proactive advocates for a cure. We know that our goal of a cure is within reach… and we will get there together. DTRF is excited to partner with Pattern.org which enables our patient community, through an online consent form, to contribute excess fresh tissue from surgery to the Broad Institute of MIT and Harvard (www.broadinstitute.org). Researchers at the Broad have used the donated tissue to create scientific models called desmoid tumor cell lines. These cell lines may help scientists identify disease vulnerabilities and accelerate our understanding of desmoid tumors. Please visit Pattern.org to learn more. Since 2015, DTRF has been working to develop the first validated Patient Reported Outcome (PRO) tool in desmoid tumors. It will provide the framework for collecting data on the patient experience with a particular treatment and is intended to facilitate a new regulatory endpoint that can be used in all future clinical trials. We are pleased to announce that the tool is now ready to be validated in clinical trials and plans are underway to use it in upcoming new desmoid tumor trials. We extend our thanks to everyone who has contributed to bringing the PRO to fruition. Principal Investigator Mrinal Gounder, MD, of Memorial Sloan Kettering Cancer Center has been working with IQVIA (formerly Quintiles), an industry leader in PRO development, to develop and manage the tool. And our patient community participated in patient interviews essential to the project! For more than a decade, DTRF has advocated for and connected patients to the latest clinical trials. A high level of patient participation has filled trials quickly and brought about breakthrough results in record time for a rare disease. The promising gamma-secretase inhibitor Nirogacestat (“Nye-roe-gay-se-stat,” formerly the Pfizer compound PF-03084014) will see a Phase III clinical trial in 2019 thanks to the launch of SpringWorks Therapeutics, a Pfizer spinoff company dedicated to meet the needs of underserved patient populations. Years of behind the scenes advocacy have led to this moment which ensures that this drug which showed promising results in Phase I and II trials in desmoid tumors has a chance to begin the long path to FDA review. We are continuing to work closely with SpringWorks and look forward to the finalization of the details of the trial that is being designed for both adult and pediatric patients. Additionally, Beta Cat Pharmaceuticals has started dosing in its Phase I, first-in-human trial of Tegavivint, a new drug that directly interferes with beta-catenin stabilization. Targeting beta-catenin in this way may hold promise for our patients since desmoid tumors result from mutations in the beta-catenin gene, CTNNB1, which cause improper degradation of beta-catenin. Tegavivint has shown promise in preclinical studies of desmoid tumors and DTRF has been working closely with Beta Cat for years to follow the progress of this drug. More than a year in the making, DTRF partnered with the National Organization for Rare Disorders (NORD) and the U.S. Food and Drug Administration (FDA) to launch the first ever U.S. patient registry specifically for desmoid tumor patients. Also known as a “natural history study”, our patient registry collects and aggregates data inputted by patients and makes that de-identified data available to researchers to advance the medical science of this tumor type. Patients complete a number of online surveys about their health, treatment and medical history, and update them over time to help researchers connect the dots and see the bigger picture of the disease. Learn more about the Registry here. With the help of our Medical Advisory Board Chair Aaron Weiss, MD, in 2017 we officially launched the DTRF virtual tumor board. Desmoid tumor experts including clinicians, radiologists, pathologists and others join from around the would, meeting quarterly via video conference. This resource offers a new source of support and collaboration for physicians of patients with difficult cases. An important need for desmoid tumor research is a mouse model that closely mimics human desmoid tumors so that we can better understand how they behave and react to various therapeutic agents. Current models only mimic the inherited form of desmoid tumor (with FAP) , which is rare. During the first year of this project, Ozgene successfully developed mouse models that mimic the molecular genetics of the more common forms of desmoid tumors (sporadic with S45F and T41A mutations). The Desmoid Tumor Research Foundation (DTRF) is a member of the Sarcoma Coalition, an organization of sarcoma advocacy groups working together to support sarcoma patients, educate the public and medical community, and help fund research to find better treatments. While united in our commitment and efforts, each Sarcoma Coalition member organization offers its own unique areas of advocacy, resources, and services. For more information visit https://sarcomacoalition.org. The Desmoid Tumor Research Foundation (DTRF) is a proud member of the National Organization for Rare Disorders (NORD). NORD, a 501(c)(3) organization, is a patient advocacy organization dedicated to individuals with rare diseases and the organizations that serve them. 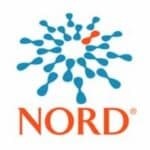 NORD, along with DTRF and more than 280 other patient organization members, is committed to the identification, treatment, and cure of rare disorders through programs of education, advocacy, research, and patient services.